Lugging around a full-size laptop so you can do a spot of work from anywhere can be a pain. Even using a Windows 10 slate, like the Surface Pro 4, doesn’t really lessen the load as you’ll likely need to include a keyboard cover and maybe a mouse. GPD Win is an interesting solution. 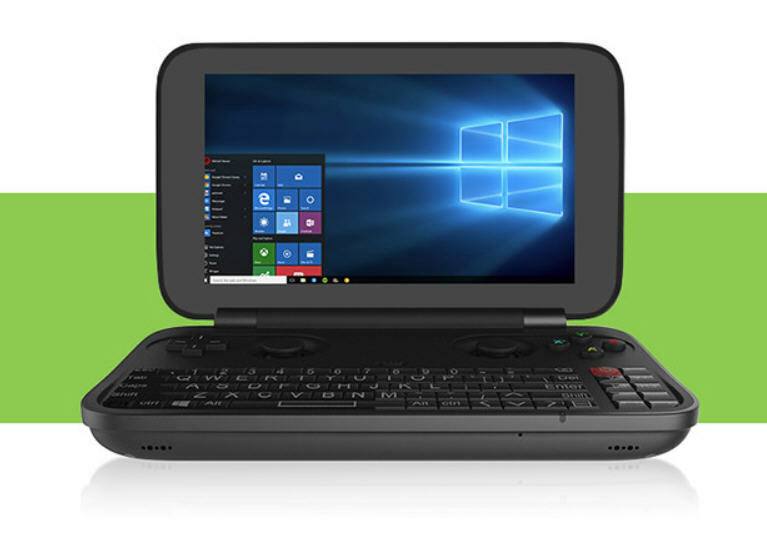 It’s a 5.5 inch handheld PC/Gaming console running Windows 10 and it’s clear a lot of thought has gone into the design. Powered by a 64-bit Intel Atom Cherry Trail X5-Z8500 processor, with 4GB of LPDDR3 RAM and a 5.5-inch 720p display, the GPD Win has an integrated joystick and D-Pad on the left hand side, and a joystick/mouse on the right, alongside ABXY gaming buttons. Under that there’s a keyboard, with volume and joystick buttons. Fast charging via Micro USB is supported, and you can expand the default 64GB of storage with a 128GB TF card. The tiny screen is fine for when you’re on the go, but if you want a larger display you can plug it into your TV via Mini HDMI. There are also Micro USB and USB Type A sockets on the rear. Connectivity comes in the form of Wi-Fi 802.11 b/g/n and Bluetooth 4.0. The device has a 6000mAh battery, which will give you around 8 hours of playing online video or games, and 672 hours in standby. 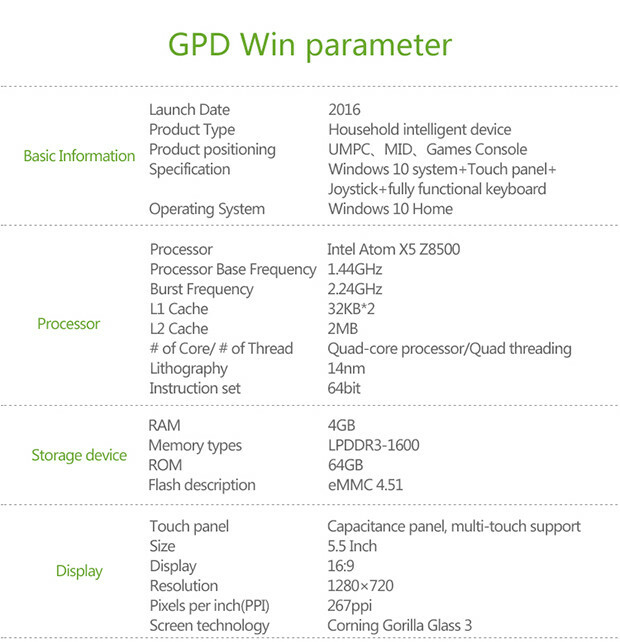 GPD Win is currently seeking support on Indiegogo and has already received 179 percent funding with two months to go. As for cost, it’s expected the device will retail for $499, but you'll get $200 off that price if you pledge backing now. 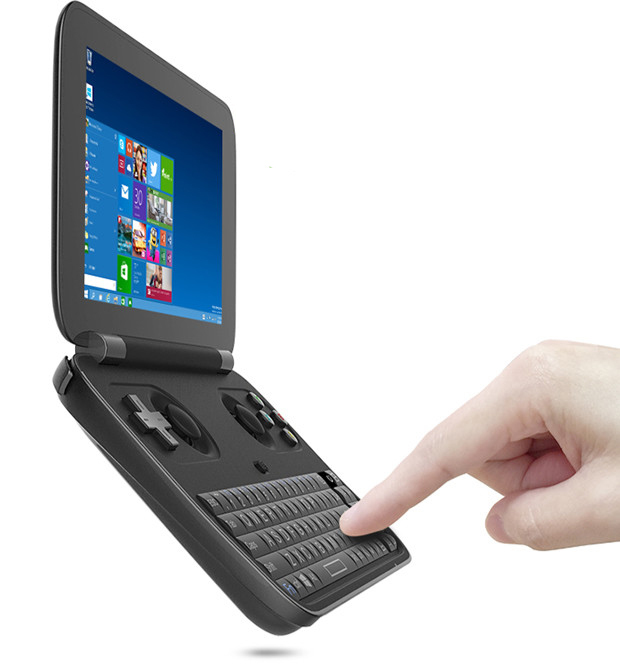 GPD Win will ship worldwide, and backers should receive their devices around October.